Moleculera Labs is a leading developer and provider of cutting-edge testing services that assist in identifying individuals with infection-induced autoimmune disorders. Passionate about raising awareness of these perplexing conditions, Moleculera executives are always available for interviews with the media. KOCO – Doctors believe strep infection could be factor in some children’s behavior disordersResearchers in Oklahoma City are investigating whether the strep infection could play a factor in some behavior disorders in children. KFOR – PANDAS Awareness Day and Moleculera LabsDr. Craig Shimasaki, President and CEO of Moleculera Labs, and parents of children with Pediatric Autoimmune Neuropsychiatric Disorder Associated with Strep infections (PANDAS) speak out at PANDAS Awareness Day at the Oklahoma State Capitol on October 6, 2016. KFOR – Did you know strep throat can give your child mental illness?Five-year-old Grace Harper from Oklahoma is featured in a story about Pediatric Autoimmune Neuropsychiatric Disorder Associated with Strep infections (PANDAS). The young girl suffered from a sudden onset of OCD and bouts of rage following a strep infection. Holland’s Story: Children’s Postinfectious Autoimmune Encephalopathy Center of Excellence Arizona parents share their struggle in getting a diagnosis for their daughter’s sudden and debilitating onset of anxiety, which left her unable to eat or attend school. 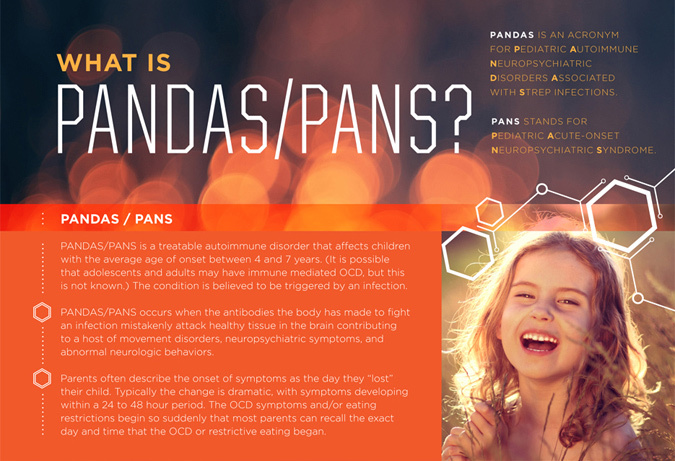 Holland Barr was tested with the Cunningham Panel™ and ultimately diagnosed with Pediatric Autoimmune Neuropsychiatric Disorder Associated with Strep infections (PANDAS). Diagnosing some behavioral problems and mental disorders in young people by testing their immune system?Dr. 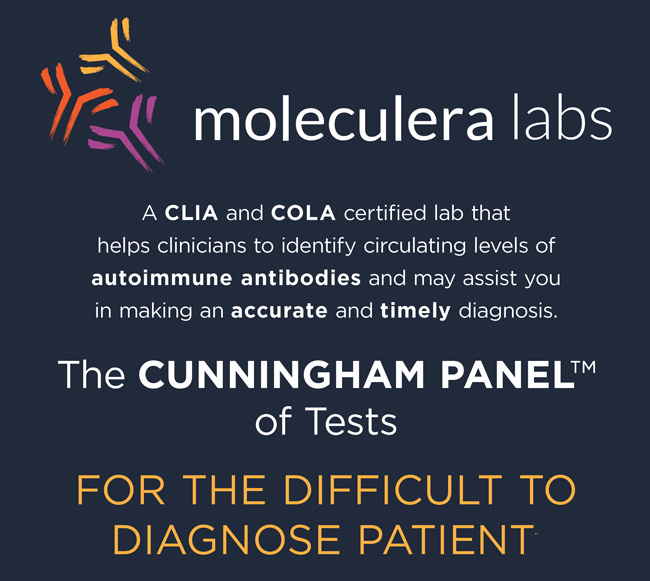 Craig Shimasaki, President and CEO of Moleculera Labs, discusses the relationship between mental illnesses and immune dysfunction and explains how the Cunningham Panel of tests can help identify children with these complex infection-induced autoimmune encephalopathies. The Journal RecordMoleculera Labs wins the 2013 Innovator of the Year Award, presented by The Journal Record, based in Oklahoma. Dr. Craig Shimasaki, CEO of Moleculera, gives a passionate acceptance speech.